charlie_grumbles wrote: There has been talk of GLR's minions watching the OTT, for mustard and such. Does anyone have evidence from outside that he actually uses minions other than his own sweet self? I always assumed xkcd was a very personal project, not a team (other than a web team, perhaps). Anybody know anything? Not speculation! Just the facts, mam'. Well. Facts, shmacts! But weren't we alerted to the extra meteor images by new posters who got moderator clearance unusally fast? I think this suggests that at least one moderator is a minion. And I don't think Randall himself is a moderator. I like to think of Randall's minions as small, yellow and cute, like Gru's. In how many posts in the world would you find a reference to both The Wire and the Marx Brothers? edited cuz I cant spel gud. Last edited by lmjb1964 on Fri Jul 26, 2013 6:49 pm UTC, edited 1 time in total. All we know is, that on a number of occasions, “mustard” in the OTC has been ch*rped soon after it was noted by the OTT. It could also be the case that the GLR Himself is reading the OTT (or searching it for ‘mustard’). (He could be MobTeese, as someone suggested.) But if so, I don't know how He does it – create the OTC, all His other comics, What-If, *and* have time to read the OTT?? Wildhound wrote: Apart from someone to maintain the website perhaps, or even just keep an eye on things when he's off work. Last edited by mscha on Fri Jul 26, 2013 6:51 pm UTC, edited 1 time in total. I don't have time to read the OTT. He really would be a GLR if he could. Last edited by HereBeUnmappedBits on Fri Jul 26, 2013 7:02 pm UTC, edited 2 times in total. I made an overlay of the Beaniemap with a bathymetric map of the Mediterranean. Might be helpful in figuring out where they are. There's a significant chance they're in that temporary plain up in the northwest. I'm aware that the coastline doesn't line up as well as it could, but the suboceanic mountains/hills DO line up better this way, and I think those are most important as coastline is more likely to be guesswork. Something interesting I noticed while creating this: the mouth of the Rhone moved to Marseille. That is not a thing that makes much sense from a hydrological perspective. 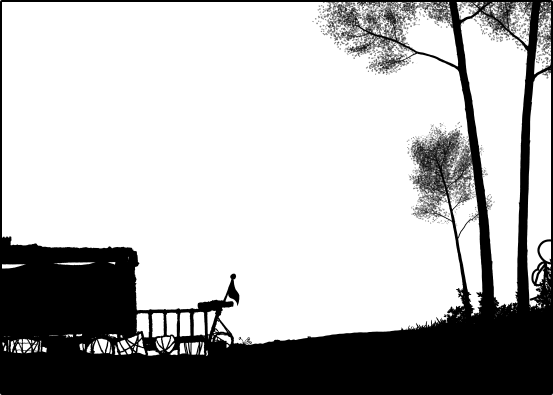 After messing around with GIMP for a few hours to create this, there is nothing more I hate in the world than GIMP. anabatica wrote: I made an overlay of the Beaniemap with a bathymetric map of the Mediterranean. Might be helpful in figuring out where they are. I don't think they should be in Marseilles bay yet, unless Randall is taking a truly free hand with the pace of refilling. More likely on the Rhone Fan or somewhere else along the continental shelf. Last edited by tavella on Fri Jul 26, 2013 7:06 pm UTC, edited 1 time in total. anabatica wrote: I made an overlay of the Beaniemap with a bathymetric map of the Mediterranean. Might be helpful in figuring out where they are. For the Rhone path, I'm also wondering about this... maybe it's one of the changes GLR foresees along with possible climatic changes. She's really neat, the brightest girl you ever gonna meet. La Petite, the brightest girl you ever gonna meet. Saves all of us from drowning and doesn't need no boat! Instead of drowning, she's got us smoothly cruising! she's got what it takes, and what an awefulsome raft she makes! I'm sure without her our future would be dimmer! La Petite, the brightest girl you ever gonna meet! I didn't know the song before. Awesomeful ottification! Well, I should hope GLR wouldn't end it there. That would be a horrible ending. I mean, horribly unsatisfying. He wouldn't do that to us, right? Nice map work, tavella and anabatica! edited to make more sense. And then again to fix the thing my first edit screwed up. Last edited by lmjb1964 on Fri Jul 26, 2013 7:10 pm UTC, edited 2 times in total. Nah. I'd really be surprised (and mad!) if Time would be that open-ended. Rivers do move, sometimes quite far. For the past century or so, the US Army Corps of Engineers (large, partly civil organization) has been trying to prevent the Mississippi River from being captured by the Atchafalaya. HUGE project. If it fails, New Orleans will be left pretty dry along with all of its commerce. The Atchafalaya mouth is about 300 miles west of the current Mississippi delta. John McPhee wrote a story about it. In fact, add McPhee to the list of book/author recommendations. It is all non-fiction, but wonderful stuff, including the geology of large parts of the American West. We have circumstantial evidence. More than speculation, less than facts. The two posters of the meteor frames hash info were approved quickly and were active only for about half an hourH. 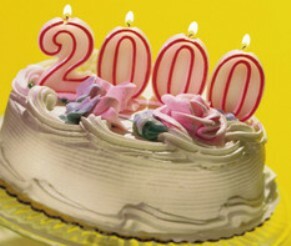 mscha wrote: Happy 2000th, BlitzGirl! I don't really ‘do’ centennial cakes anymore (plenty of people are, so no huge miss), but I'll make an exception for the 2000th. Charm Quark wrote: Also, happy 2000th BlitzGirl! ZoomanSP wrote: Happy 2000 posts, BlitzGirl! @svenman: Neat ottification! It's fun to sing along to that. @anabatica and tavella: Thanks for the map-work! So, it looks like everyone was curious and left the raft. That means, no watch left behind. Also, no sailor-experience yet - did anybody tow the raft to the shore ? This pseudo-3D view is nice also, but it lacks precision ... and depth lines. It's also somehow harder to measure distances on it. Anyway, I agree they're still certainly far below the continental shelf. Based on that, it makes sense that Randall or one or more of his associates is aware of this thread and community, and decided to post the meteor frame bitstrings to make sure they weren't missed. Still just a theory, though. I hope they don't need the raft again. As others have noted, they didn't appear to tie it up or have someone on formal raft-watching duty (people still asleep on board don't count). And that "crunch" when they hit land does not give me great confidence in the integrity of their prow-end flotation. I think they may have stove in a barrel or two. Yay for potential molpies! And I forgot to congratulate you on #2000! Considering what word people say on post 100, I hate to think what you said on post 2000. I'll have to go back and look one of these days. charlie_grumbles wrote: Rivers do move, sometimes quite far. For the past century or so, the US Army Corps of Engineers (large, partly civil organization) has been trying to prevent the Mississippi River from being captured by the Atchafalaya. HUGE project. If it fails, New Orleans will be left pretty dry along with all of its commerce. The Atchafalaya mouth is about 300 miles west of the current Mississippi delta. John McPhee wrote a story about it. In fact, add McPhee to the list of book/author recommendations. It is all non-fiction, but wonderful stuff, including the geology of large parts of the American West. Oh I know, I'm a hydrologist, but rivers move for a reason. They move when there's an easier way to reach the ocean (i.e. using less energy). The Mississippi should have moved and only hasn't because of human efforts. But this Rhone thing looks pretty random to me. It's not a shorter and/or easier path at all. But I guess in 10000 years there may have been changes that have made it so, or it may have been done on purpose by humans. I can't think of any climate-change related reason for it... unless it was changes made to protect towns on its estuary that ended up raising their level and the level of the river quite a bit so that an alternate course became suitable. I'm fairly certain the entire creative process is his own, but he maybe runs his comics by a few friends/family before he decides to upload them, for proofreading and such. Agreed. While undoubtedly a tremendous amount of work goes into xkcd, it is his full time job (or at least that's what I've been led to believe) and if that's the case I don't think he would require a team. Apart from someone to maintain the website perhaps, or even just keep an eye on things when he's off work. This page can answer some of these questions. kepstin wrote: Maybe there's going to be a little bit of sandcastle rebuilding for us! Welcome here kepstin! You were right, thus you can't join the Predictors Club. We have a rule: our predictions have to be wrong. I did like the raptor flybys we got earlier, but they were too zoomed-out to satisfy my molpy-hunting-fix. Bring on the landmolpies! What did I say? *checks* Hmm...nothing too exciting, I'm afraid. I think the most exciting word I used in that post was "Lollipop." I liked it too. I think you'd be an awesome Rosetta. I don't much like the idea of reversing reversed speech... rather, I think layering many tracks of the other words on top of each other as she figures out what she's trying to say would be a faithful reproduction of what the OTA depicted, and would be cool to boot. Add some echo and you're good to go. The best spell checker in the world is the print button. Really cool ma(ni)p! The flow is probably eastwards, so they may not end up in Beanietown. That would be quite a stretch. @tavella - Your map is treeish too, in a different way. Kind of like there are different trees. Fictioneer wrote: Since you mentioned it, I can see this being a wind down. Maybe in one more frame, after Cueball exits. No way. The other shoe hasn't dropped. It can't end here. I like to think of my minions that way. Shocking! That sort of thing should never be allowed! Thanks, Jose! I'll give Rosetta a try if we have auditions for her. I just want to point out, to all the worried people, that we haven't seen 39 characters leave the raft yet. Some of them are still waking up. HAL9000 wrote: I just want to point out, to all the worried people, that we haven't seen 39 characters leave the raft yet. Some of them are still waking up. That's even more worrisome. They won't know to stick together. Hopefully somebody's watching. *gasp* BlitzGirl! That m*stard was chirpin' dirrrrrrrty! I just assumed that several had gone on into the trees off-screen and we didn't necessarily see them pass. Last edited by Valarya on Fri Jul 26, 2013 7:44 pm UTC, edited 1 time in total. I'm not sure about eastwards. Flow follows contours. Of course, it normally follows contours in a downwards direction, but in this case I think it might follow contours up. When looking at groundwater flow maps, or even when determining stream direction from elevation maps, direction of flow is perpendicular to contour lines representing groundwater head/elevation. So I'm tempted to say that direction of flow in this situation will be perpendicular to contour lines also, going up. Which would put them on the Gulf of Lion or somewhere in that "mountainy" bit where the Balearic plain is rising towards the Gulf of Lion as suggested by tavella. But I'm making a number of assumptions here about water movement. I'm not accustomed to an upwards direction of flow so this is new and strange to me. Last edited by anabatica on Fri Jul 26, 2013 7:51 pm UTC, edited 2 times in total. It would be interesting if the next time we see a blatant mustard (like the the s/he pronoun mix up) that nobody mentions it on the thread and see if it is still remedied as quick as the others. (although this is probably next to impossible to coordinate with everyone who can post to the OTT) but it would be a 'neat' experiment. It could be posted about later then to see if everyone agreed it was mustard. I think if it was either not fixed, or fixed half way to the next newpix, it would be an indication that the minions rely on us to proof the frame.